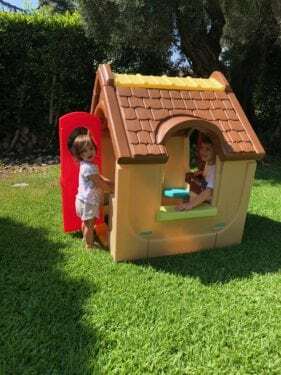 Your kids will love stepping inside this charming Garden View Cottage for hours of imaginative play. 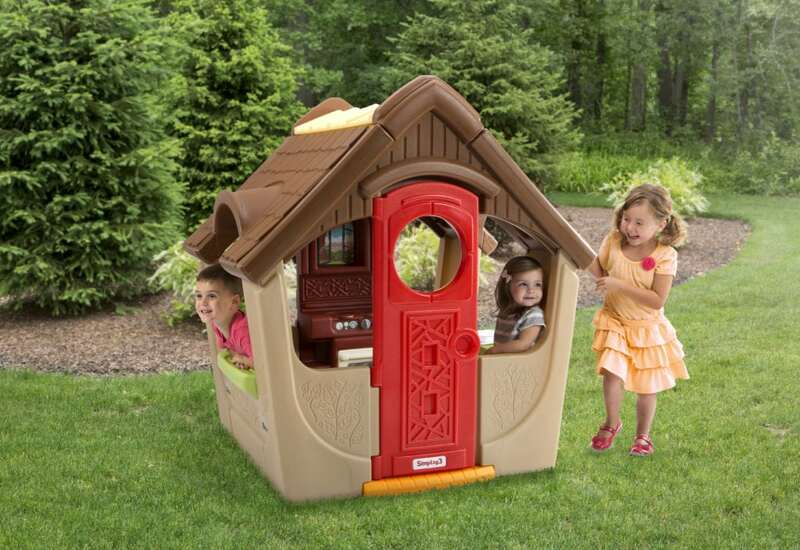 Adorable and well-constructed design, rich detailing and an open air style for a full view of playtime happenings. Four corner seats open up the interior space, inviting friends to join in the culinary fun. 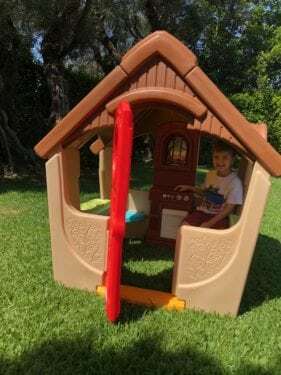 A play kitchen with pretend oven, stove, and molded-in shelves as well as an outdoor chimney with pretend pizza oven offers more cooking fun. Two window sills offer a place to serve up culinary creations or use the molded-in track to ride around their favorite mini vehicles.